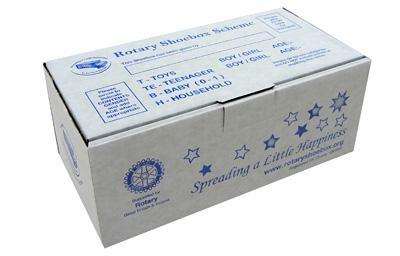 Each Autumn Wetherby Wharfedale Rotary Club take part in the nationwide Rotary Shoe Box Appeal by inviting local schools to assemble shoe boxes filled with toys, toilettries and stationery etc which we export to unfortunate children throughout the world. Group filled 44, giving a grand total of 664 boxes. involved to ensure the boxes go to the places where they are needed. arrive and be distributed for the Orthodox Christmas celebration.